Heat oven to 375°F. 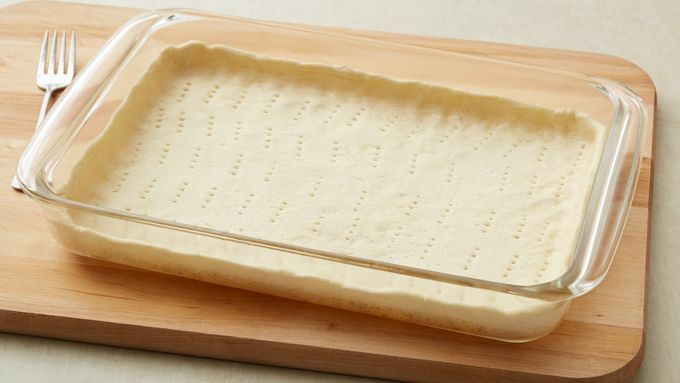 Unroll dough, and press into bottom and 1 inch up sides of ungreased 13x9-inch (3-quart) glass baking dish. If using crescent rolls, press perforations to seal. Prick all over with fork. Bake 7 to 9 minutes or until dough is set but not browned. In medium bowl, beat eggs; pour into dough-lined pan. 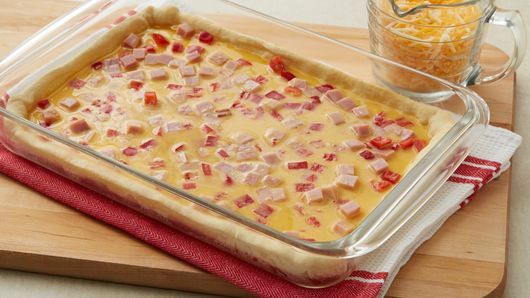 Top with ham, bell pepper and cheese. Bake 17 to 22 minutes longer or until eggs are set and crust browns. Don't have ham on hand? Substitute crumbled cooked bacon. All it takes is five ingredients to please and feed a crowd. This easy breakfast casserole with crescent rolls is a great brunch or dinner option and you can mix it up based on what you have on hand. 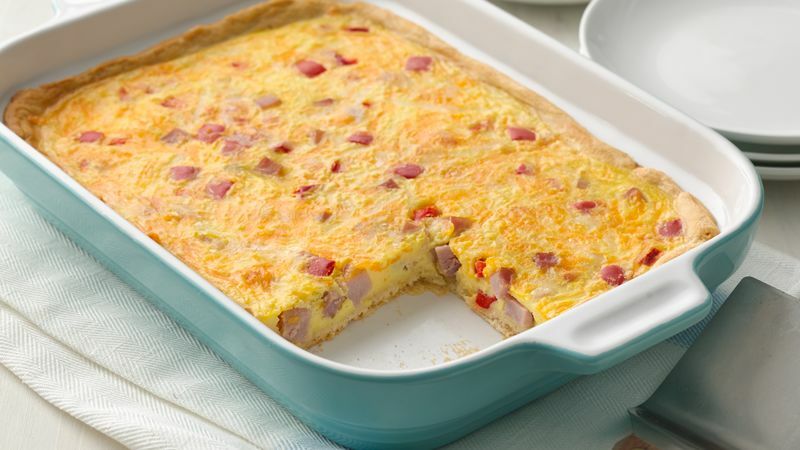 Our version is ham and egg, but feel free to substitute crumbled cooked bacon. This cheesy breakfast casserole is sure to please the whole family and become a weekend favorite. Love breakfast as much as we do? Check out the full collection of breakfast and brunch ideas to feed your love for morning eats all year round.